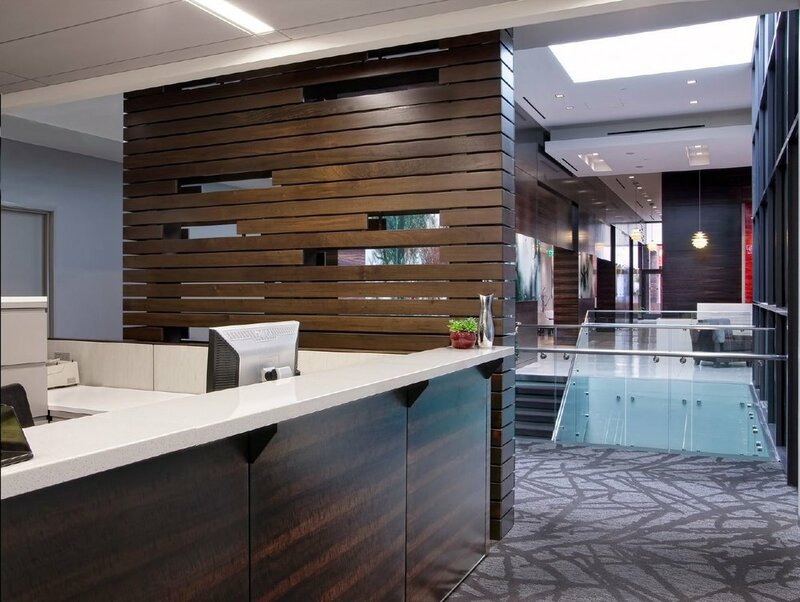 It’s no secret that open office environments are continuing to gain popularity; an estimated 70% of Americans are currently working in them. This type of popularity does not come without its own controversy or complaints. The number one complaint from workers is the lack of sound privacy, and an additional 25-30% of workers are dissatisfied with the level of noise in their workplace. Open office etiquette can go a long way in terms of reducing noise, but sometimes it’s just simply not enough. An open office itself contributes to elevated noise levels, but the architectural materials surrounding it play a large role as well. Although aesthetically pleasing, many of these materials actually increase sound by amplifying it. That loft-style office with high ceilings, hardwood floors and walls of windows that you fell in love with on the cover of Architectural Digest? Acoustically horrendous. To successfully transition from a closed office to open office, it is imperative that your team incorporate some sound reducing products to continue having happy, productive workers. Common methods of sound masking include changing up your materials, and include things like carpeted areas or rugs which help absorb sounds. Another effective way to curb unwanted noise is a sound masking system like those made by Cambridge. What is a sound masking system? It’s generally thought of as “white noise”, but this is inaccurate and would actually be disruptive. Think listening to a static radio would enhance your productivity? Me neither. Sound masking creates an airflow like sound that goes unnoticed by most people because they use sound waves similar to the human voice. Although you may hear sounds, you won’t hear actual conversations making them exponentially less distracting – in fact you probably won’t notice them at all. According to NPR; it’s human nature to be more distracted by human sounds than machines. Ready to see where it hits your bottom line? 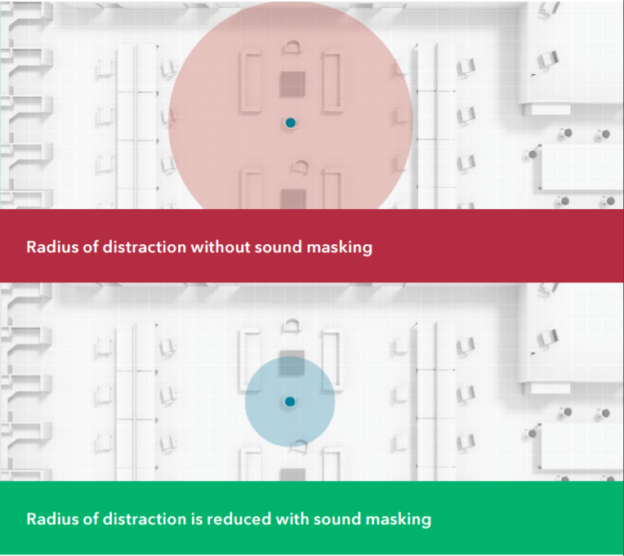 Without sound masking techniques, employees are disrupted by speech every 11 minutes, and waste an average of 21.5 minutes per day. This decrease in productivity could cost companies over $1,500 a year per employee in distractions! We can help you lower the volume and turn up the productivity with any of the products mentioned above. Give us a call to learn how.